Hello. This is a Korean in America typing away in a basement of a pizza place at 50th street Manhattan waiting for my phone to charge. 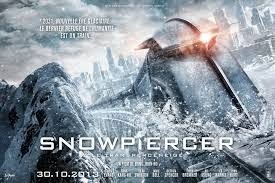 Recently, I had watched the movie "Snow piercer" which is a primarily Korean movie made with mostly western actors. The movie is a high concept allegory about class struggle which does not translate fully with the western actors other on a conceptual level as they do not have the underlining resentment that Korea and this director display. Why is class struggles so fundamental to Korean entertainment? If you have watched Korean dramas and especially movies, you may have seen this underneath the surface of many of them. While all modern societies have class issues and conflicts, it is rather odd that this is so persuasive in Korean entertainment. Korea is not England after all. Our kings are now a far away memory and are just now a subject of our public entertainment. As a disclaimer, I come from a upper middle class family of professionals. So, my experience of lower classes are not that extensive. If you look at Korean society as a whole, there is no real obvious structural remnant of past class system left over other then gender related stuff. At least close to equal modern consumerism societies could be. This is a rather grand achievement for a society that had an official class system until about a century ago. And this change was not even done on our own initiative. Japan made us do it! Well... it was not an easy process. I would have to describe it as a process of the traditional upper class destruction. During the Japanese occupation, the traditional upper classes were divided and the side that were against Japanese were marginalized. After the occupation, the opposite was going to happen. However, things did not happen according to script. The American occupation of Korea supported the previously pro-Japanese middle classes in order to support its policies. So, this created an odd situation. This resulted in a lot of internal strife which cascaded into the ideological conflict that represented that age in global history. The Korean War which started in 1950 A.D. really ended the restoration of the upper classes. A lot of the upper classes lost their lives and possessions since the communists were not kind them. You could have said it was a decimation but that word means only 10%. It was more damaging in the case of the Korean war. Even after the war, the following military dictatorships were not that kind to the traditional upper classes as most of them came from the lower classes. This created a power gap in Korea which were filled by people who were born into lower classes. Most of the conglomerates are not from traditional upper classes even though they like the say other wise. So why is there so much class tension shown in Korean dramas and movies? This is a rather complex question. Korea is a capitalist country. So, there are obvious social inequalities in it. However, currently, it is not necessarily worse than other countries whose entertainment is not dominated by this type of simmering resentment. My theory is that the decaying but still resilient confucianism in our has a hand in the whole thing. While there is no structural classes in Korean society, as a tradition confucianist culture, our culture has a tendency to view society as a very top down command structure. Starting at birth, we are under the control of some one and, shortly after, we gain control of some one else. While this is problematic in itself, what is more problematic is that the philosophic foundation of this culture is currently gone because of the modernization process. Previously, the way things were done were sacred because it was the order of the heavens. So, we accepted or more accurately had to accept it. The heavens are closed for business and only the traditions of the cultural remain. In conclusion, a lot of the class conflicts shown in Korean entertainment is a reflection of both the negative effects of the hierarchical culture and the fact that we do not see our social betters as being better. We feel that they are usurpers on the the throne in the place of the rightful rulers.